Some areas of this website including our Live Auctions service, Auction Catalogue Requests and Advanced Searches are only available to Dataclub members. If you are already a member then please Log in at the top of this page. If you are not yet a member but would like to become one then click the button below to register. Allsop Residential's auction, held the day before what was supposed to be Brexit day, recorded a solid 75% success rate. There were no signs of investors waiting for a final decision from the Brexit negotiations, as Allsop Commercial reported a 77% success rate at its March auction, selling 81 lots at a total of nearly £53.7 million. Allsop Commercial went into the summer break by selling 128 lots at their July auction, raising a total of £80.44 million. Allsop Commercial has had a successful end to 2017, selling 114 out of the 149 lots on offer at a total of £86.3 million, with 33 lots being sold for over £1 million. Acuitus’ final auction for 2017 brings total sales for the year to over £300 million, its second largest annual total. Allsop Commercial has posted its second largest May sale in ten years after 124 lots were sold at a total of £94.6m. Allsop Residential’s latest auction sells 174 lots at a success rate of 70%, raising £61 million. Allsop Residential’s latest auction bucked the trend of weak post-summer auction results elsewhere in the UK, posting a success rate of 80% and raising £71 million. Acuitus’ latest auction has shown that the opportunities are there for sellers with the right properties. Acuitus’ second auction of 2017 took place on Thursday 30 March and raised £47.36 million across 74 lots. Allsop Residential’s second auction of 2017, held at the Cumberland Hotel on 30 March, raised a total of over £54 million at an average of £368,000 per lot. Allsop Commercial’s second auction of 2017 took place at Claridge’s on 27 March and raised over £87 million at a success rate of 84%. Savills first auction of 2017 saw a welcome return of confidence, with 80.5% of the 215 lots on offer being sold for a total of £64.16 million. Allsop Residential’s first auction of 2017, held at the Cumberland Hotel on 16 February, raised a total of £64 million on the day at an average of £326,000 per lot. Acuitus’ first auction of 2017 took place on Thursday 16 February and raised £35 million, with an average sale price of £970,000 and a third of the lots sold going for £1 million or more. Allsop Commercial’s first auction of 2017 raised close to £58 million at a success rate of 82%. Allsop Residential’s final auction of 2016, held at the Cumberland Hotel on 15 December, had a success rate of 71% and raised a total of £46 million. Acuitus’ final auction of 2016 raised £41.125 million, bringing the year’s total sales to £354 million – the firm’s best ever performance. Allsop Commercial’s final auction of 2016 took place over two days, making it one of their biggest ever December sales, and raising over £119 million in the process at a success rate of 77%. Allsop Residential’s November auction saw a success rate of 71% with a total raised of £62m, but this figure is expected to increase as further deals are done and lots continue to sell following the auction. With 87% of the properties on offer sold, Allsop Commercial’s October auction proved to be their largest one-day sale since 2006. Acuitus’ October auction was their largest to date and has put them on course for a second consecutive record-breaking year. Despite fears of a post-referendum slowdown, Allsop Residential has reported ‘brisker than usual’ business at its auction on 20 July. The first major commercial auction to take place after the EU referendum was held by Allsop Commercial on 6 July, and signs were that little had changed, with 82% of the lots on offer being sold at a total of over £63 million. Acuitus’ fourth auction of 2016, and the first to take place following the EU referendum, achieved impressively strong results, with 83% of the lots on offer selling for a combined total of £55.7 million, with 20 of those properties raising more than £1 million each. Allsop Residential’s latest auction has defied suggestions that the housing market may be cooling. Allsop Commercial has achieved its biggest May auction in 10 years, raising £114 million at a success rate of 81%. Allsop Residential finished the financial year by raising £53 million across 263 lots on offer at its latest auction on 30 March, bringing the total for 2015/2016 to £470 million for UK residential sales. Allsop Residential’s first auction of 2016 proved a spectacular success, raising £74.8 million, representing an impressive increase of 38% on its total for February 2015. Allsop Commercial’s first auction in 2016 raised nearly £66 million, with a success rate of 81%. Acuitus’ first commercial property auction of 2016 raised £56.38m across 72 lots, with 98% of the properties selling at an average price of £817,000. Allsop Residential held its final sale of 2015 on 17 December and raised a total of £68.6 million. Acuitus had a strong finish to 2015, with their final auction of the year raising over £45 million across 57 lots at a success rate of 88%. The Allsop Commercial Team raised more than £60m following their final auction of 2015 held on the 8th December, reflecting a success rate of 86%. 107 lots have now been sold, including 14 for over £1 million and 4 for over £2 million. A fifth Acuitus sale of 2015 represented the largest catalogue Acuitus has brought to market, and produced a 90% success rate as the team raised £67.6m at the sale held on 22nd October. Some 26 of the 75 lots sold achieved prices of more than £1m. Allsop's Residential Auction Team continued their success with 175 lots sold, raising £71.2m in their latest auction of 2015. The Allsop Commercial Team reported a positive sales total of £102m following their latest auction held over the 19th and 20th October, with 210 investments on offer over the two days. Huge diversity of stock sold at Allsop Residential's September auction. 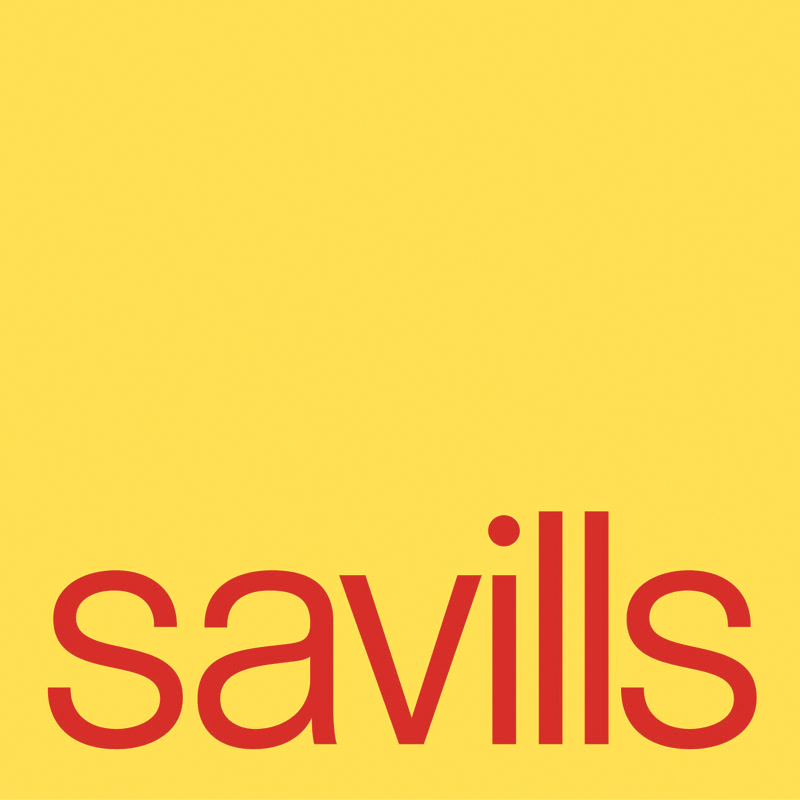 Savills London and National auctions has taken first place in the residential auctions league table, selling over £214m worth of property in the first half of 2015. This was £20m more than closest rival Allsop who took second place with £193m, and nearly £100m more than Barnard Marcus who came in third with £115m according to data from the Essential Information Group (EIG). £17.8 million raised & 90% success rate at Mchugh 30th April auction. It was a competitive and enthusiastic room at the fourth auction of the year for Allsop's Residential Auction Team as they sold a total of 211 lots with a success rate of 86%. Acuitus raised £38.27m at their second auction of the year, with their highest sale rate to date as they sold 93% of the 54 lots offered in the catalogue. Allsop Commercial continued their success at their recent auction held on 6th July at The Dorchester, by raising in excess of £83m with bidders competing strongly for the vast majority of lots. Acuitus raised £48.68m at their fourth auction of the year, with a success rate of 90% of the 60 lots offered in the catalogue. Acuitus followed on from their highly successful March auction with another strong sale, which takes their total asset sales at auction for 2015 past the £110m mark. Just three days after the UK general election results were announced, Savills auction team held their third auction of the year, selling over £40million worth of property with an 88% success rate on 11 May 2015. It was a successful second auction of the year for Allsop's Residential Auction Team as they sold a total of 213 lots with a success rate of 87%. Allsop Commercial sold a total of 109 lots with a success rate of 86% at their second auction of 2015, held on March 25th at The Dorchester. Savills London-National Auctions began 2015 with a bang, selling over £52.4m worth of property with an 86% success rate at the first auction of the year on the 17th February. 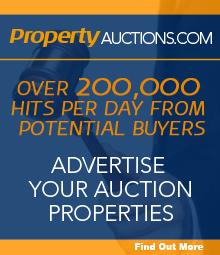 The Residential Auction Team had a promising start to the year raising £47 million. 185 lots were sold in total at the Cumberland Hotel on Thursday 12th February, with a success rate of 80% and an average lot size of £255,450. Allsop's Commercial Auction Team sold 75 lots with a success rate of 88% at their first auction of 2015, held on February 9th at the Berkeley. The Residential Auction Team had a successful seventh sale of the year raising £56.6 million. 185 Lots were sold in total with a success rate of 82% and an average Lot size of £306,000. Allsop's Commercial Auction Team had a strong end to the year as 113 Lots sold at their December auction, raising £77.1 million with a success rate of 80%. Acuitus achieved £37m with a success rate of 78% at their December sale, which marked a record breaking year with a 30% increase on their 2013 sales volume. Nottingham auctioneers, Savills, have announced that within their October auction, to be held on the 16th at the Nottingham Racecourse, they will be reoffering Park Lodge, set within the heart of West Bridgford town centre. Savills National auction team have sold a freehold site of just 0.016 acres in Battersea, south London, for £260,000 in their recent sale on 28th October from a guide of £55,000. The former ground of Wisbech Town Football Club at Fenland Park will be up for sale at Savills London and National Auction on the 8th of December 2014 (Lot 46). The four acre site has a guide price of £2.5m and comes with planning permission for 83 houses and apartments, along with consent to demolish the existing football stands and buildings. Fenland Park was home to Wisbech Town Football Club from 1947 until 2008, after which the club relocated to Fenland Stadium, Lynn Road. Allsop Commercial had a successful fifth sale of the year at their October auction, raising £113m with a success rate of 75% and an average lot size of £568,000. Acuitus have raised £51.8m with a success rate of 85% at their October sale, demonstrating the strength of selling good quality investments at auction.